Home in time for tea! : A birthday cake fit for a Princess! So moving very swiftly on. My little one turned 3 on Tuesday!! It's all going so fast - how can she be 3 already?! She really wanted a party so we thought we'd oblige, plus she also recently started nursery 2 mornings a week and has a couple of little friends now. We asked her what kind of a party she wanted and despite our attempts to steer it in certain directions, she was adamant she wanted a princess party (we are currently Disney princess obsessed). 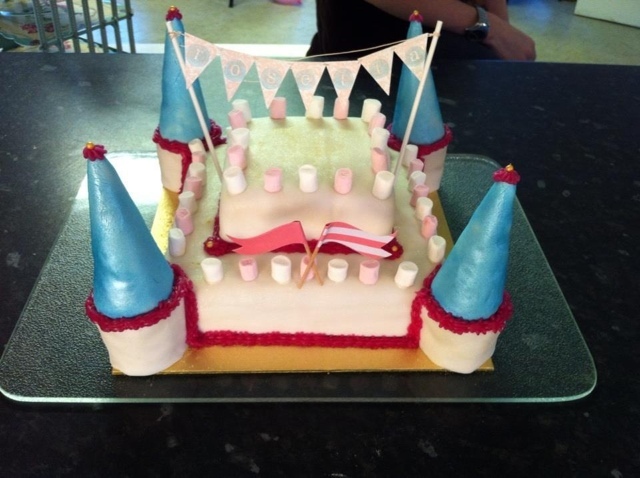 So...challenge for me then was a princess themed cake. 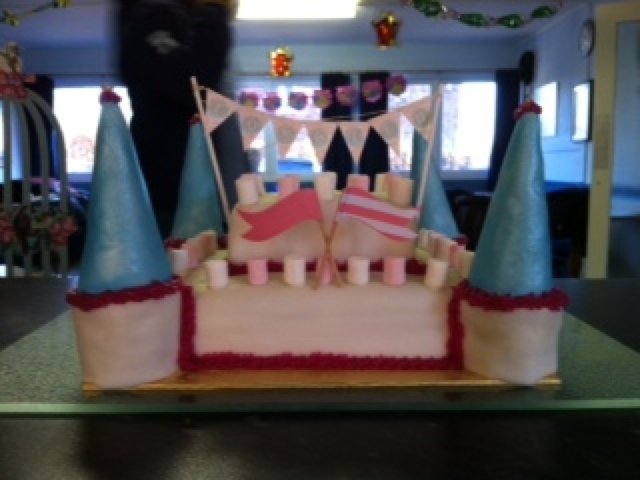 I eventually settled on a castle cake. Cos that's easy right?! I was really proud of it, especially given how little time I had to get it all done. Pose seemed to really like it and the actual cake tasted pretty good - light and moist (yes, moist, I hate that word). Lucy you are awesome. Official. Why thank you! I was soooooo relieved to get it done!